Ready? 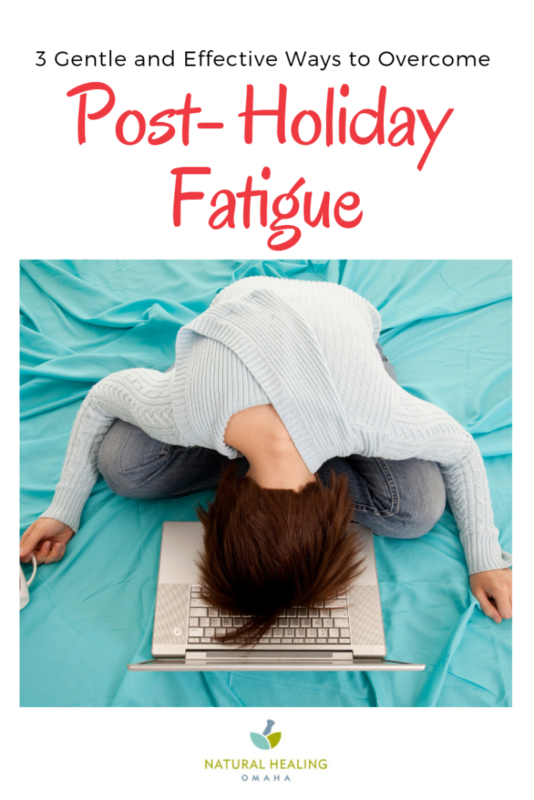 Read here for the specific tips and details of how to overcome Post-Holiday fatigue. 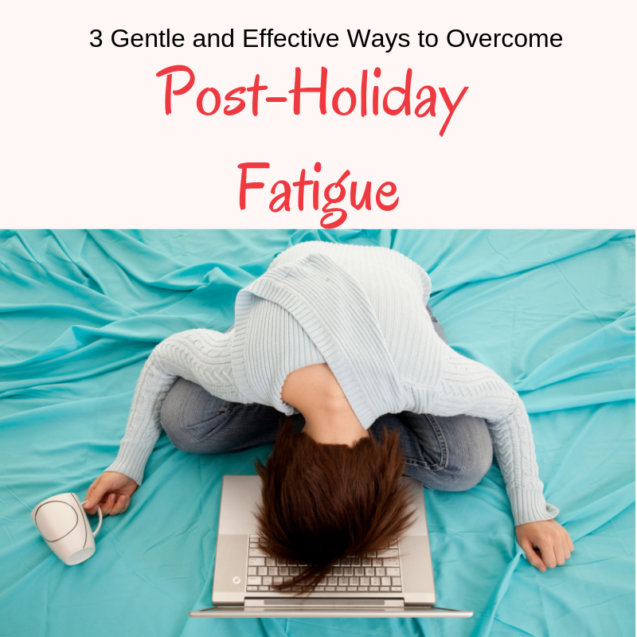 3 gentle and effective ways to overcome post-holiday fatigue. This holiday season I stayed on track pretty well with my herbal regimen. But rest of my healthy lifestyle? Well, like most everyone else it went by the wayside. And I felt it. I had some back pain and plain old tiredness starting to creep up, and I knew I had to start making changes to get back on track. Here are the three things I implemented to help me overcome that post-holiday fatigue and sluggishness. 1. Reintroduce Gentle Exercise and Meditation. First, I started by reintroducing a little yoga. I found a low back pain video by a gal named Adrian. I’ve been doing it for about 4 days. Just that short 30 minute practice has helped shake loose some tightness. Do you have a favorite gentle exercise program? I also returned to a short daily meditation, a healthy lifestyle practice for anyone and everyone. I set aside a specific time of day – for me its usually after dinner. I find a cozy, private spot, light a candle, put on calming music, and sit for about 30 mins. I make sure to set a timer so I don’t get antsy. I reset and remind myself to have gratitude. We all need gratitude, don’t we? Gratitude is essential in recovering from post-holiday fatigue. I also had a session with a friend of mine that I trust. This friend keeps me on task with my promises. We sat down and talked about our goals and visions for the next five years. What do we see our work and personal lives looking like in five years? That really put some things in perspective for me. Do you have a friend you can call and sit down with to review your life and talk about what you want? Talking with my friend was another baby step to recovery. Next, I began to slowly cut back on the kind of heavy sweets and foods I was eating over the holidays. I ate a little less each meal and stopped the snacking, which can really get out of hand during the holidays, can’t it? I also started rethinking my coffee habit and returned to green tea. Not every day. Tiny changes are the trick. Allow yourself some wiggle room so you don’t feel deprived. One thing people do at this time of year is go whole-hog and decide to do a cleanse or fast. They throw themselves into it, and then at the end of the fast they return to the habits that got them there in the first place! Winter is the Kidney season, associated with the Water element in Chinese medicine. In this dark season, we’re meant to go inward and power down a smidge. When we fast, it tends to lower our body temperature just a little, and cold weather isn’t the time of year for that. I recommend fasting as form of cleansing during the warmer season, so as Spring comes up, it’s a better time to think about a healthy cleanse plan. I love to guide people through cleanses so ask me! Adding in the healthful foods for your organs and for the winter season will help you overcome post-holiday fatigue. Below are some foods I recommend for just about every constitution this time of year. Replace heavier root vegetables with steamed greens (collards, mustards). The longer you cook greens in water the more heavy minerals you get. If you’re trying to increase your minerals for your bone, skin, nails and hair, keep this in mind! Try sprinkling a little vinegar on for a zippy taste! Replace heavier meats with lighter, free-range poultry, and fish. If you’re going more meat-less, try tempeh. Tempeh is a fermented soy product that provides the protein you crave when you’re cutting back. You can use it in lots of ways. I like it seasoned and as a meat replacement in tacos, or crumbled up with my eggs. It has a nice crunch to it that I crave. Add one type of food for each element in Chinese medicine. Each element represents one of these five important organs – Liver, Spleen, Kidney, Lungs, and Heart. 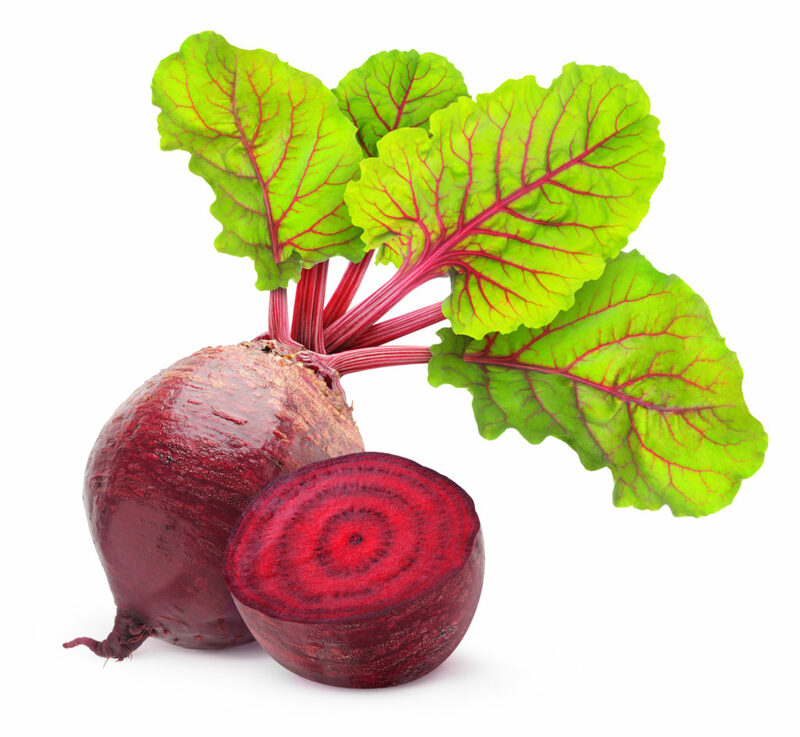 Liver- Beets are a super food for your liver. Next time you’re at the store, grab a bundle of this wonderful purple veggie that often gets neglected. Broil the beets and steam the tops for a colorful side dish or add cooked beets to salad. Lungs- Garlic, onion and shallots are your best Lung-protective foods. They’re naturally antiviral and keep the mucus loose and smooth. If you’re squeamish about mucus, keep plenty of garlic in your dishes. Kidney- Celery, seaweeds, and kidney beans benefit the Kidney element. Seaweed keeps the thyroid healthy, and is a great internal moisturizer for that winter dryness. 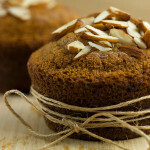 Heart- Bitter-tasting foods benefit the heart. 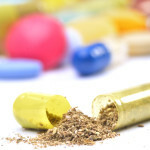 See if you can find a bitter food in your cupboard that you can sneak into your daily diet. Food aside, the Number One practice for a healthy heart is practicing gratitude. Daily reminders of the blessings in your life, even the simplest ones, are my top recommendation for health health! Schedule regular down time. A 10-minute meditation in the morning or before bed helps to trigger the neurotransmitters that down-regulate anxiety. Science says so! Turn off phone ringers and social media notifications, setting some discipline around answering emails, and respond less often to needy friends, family and co-workers. By implementing these gentle changes one at a time, you can get yourself back on track. If you need help or guidance with overcoming your post-holiday fatigue and sluggishness, I would love to help you out. Contact me and let’s talk a bit!